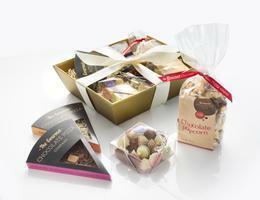 If you're looking for a unique anniversary gift, look no further than our range of chocolate gift ideas. 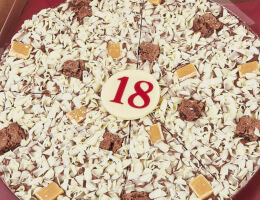 From Personalised Chocolate Pizzas and our magnificent Pizza Pyramid, to our celebratory Congratulations Pizza, and bespoke Design your own Chocolate Pizza service, there's plenty of ways to recognise an anniversary or special event. 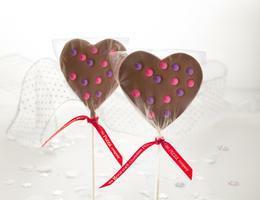 For many years now it has been the custom to celebrate wedding anniversarys with themed gifts. The first five years alone sees gifts inspired by Paper, Cotton, Leather, Fruit or Flowers and Wood, respectively. Meanwhile, years six through to ten are celebrated with gifts of Sugar, Wool, Bronze, Pottery and Aluminium. Other notable milestones include Crystal for 15 years, China for 20 years, Silver for 25 years and Pearl for 30 years - the list is endless. 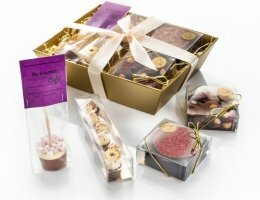 Whether you're celebrating your own special milestone or want to send anniversary wishes to your family or friends, we have a number of chocolate anniversary gifts that will help you mark the occasion, and a range of delivery options to suit your needs. 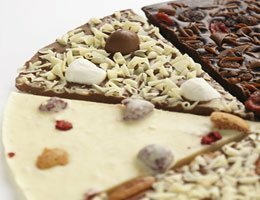 For that truly personalised message, our Personalised Chocolate Pizzas are available in eight of our most popular flavour combintions and feature a central white chocolate plaque with your unique message. From 'Happy Anniversary' to 'Ruby Wedding Wishes' you have up to 24 characters to express your own sentiments of joy. If you're stuck for words, then why not choose our Congratulations Pizza. 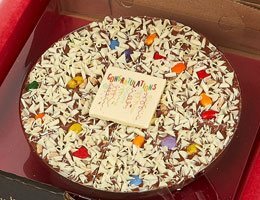 With a solid milk chocolate base, white chocolate curls and brightly coloured rainbow drops, finished with a celebratory white chocolate plaque decorated with the word 'Congratulations' and party streamers. 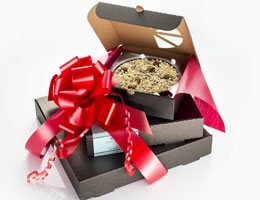 For a stunning gift that will really show just how much you care our Pizza Pyramids see three different sized pizzas in your choice of flavours, beautifully stacked and tied with a red ribbon and bow. 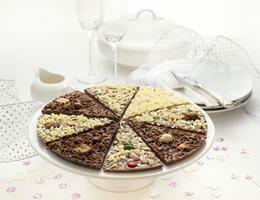 Ideal for key dates such as Silver, Ruby and Gold Wedding Anniversaries our Pizza Pyramids are well received and loved by all.